Good evening everyone! I hope you are all having a wonderful weekend! 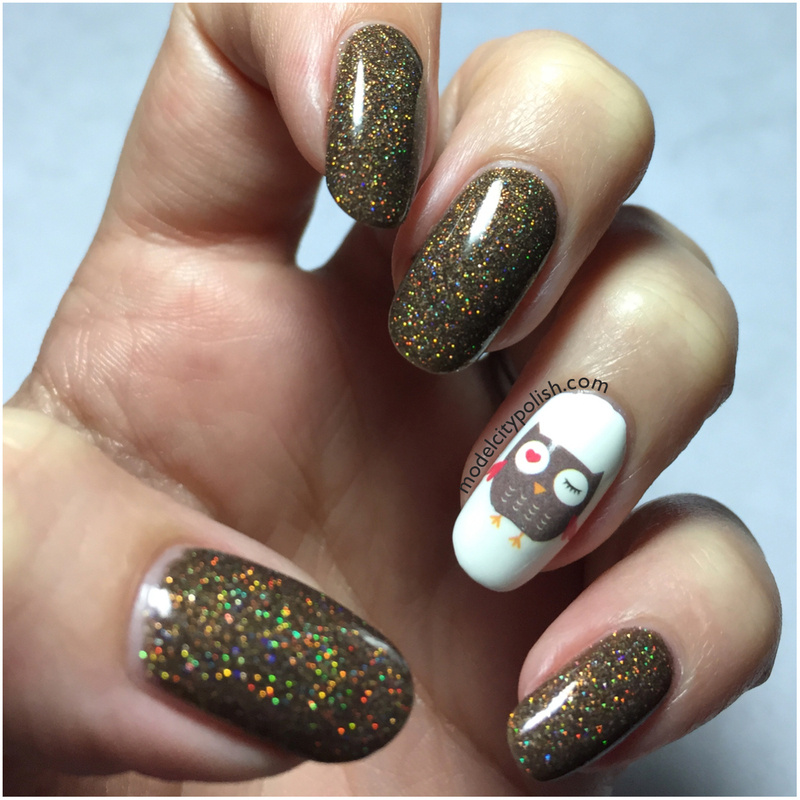 Today I am dreaming of fall and my mani combo is a clear plea for cooler weather, campfires, football, and changing leaves! 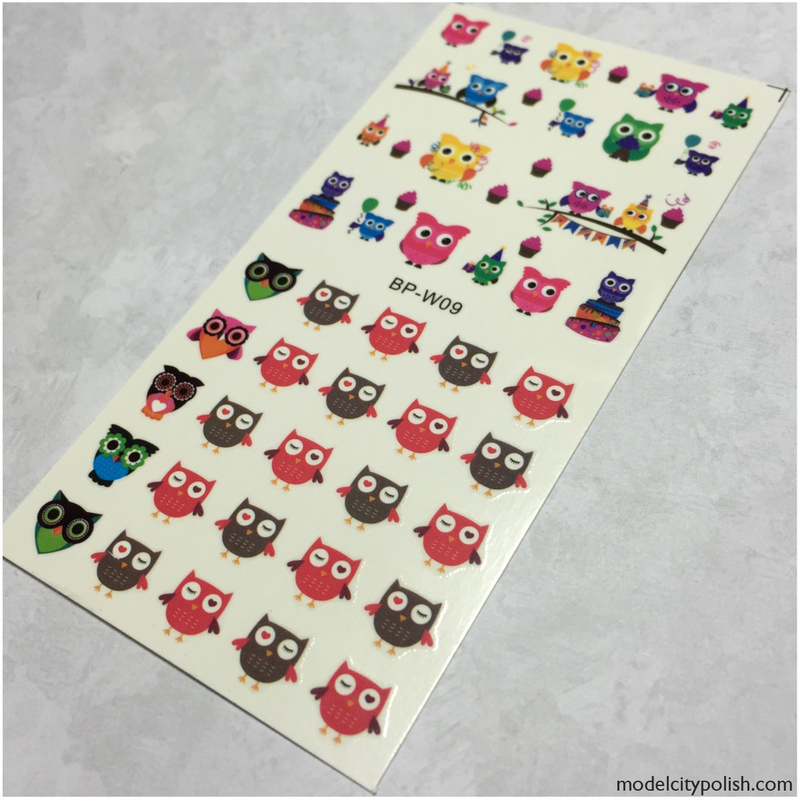 We all know I love Born Pretty’s water slide decals too so when I saw the owls, I knew they had to be mine! I can’t say enough great things about Born Pretty water slide decals. They are the easiest to use and the endless patterns is sure to have something for everyone. 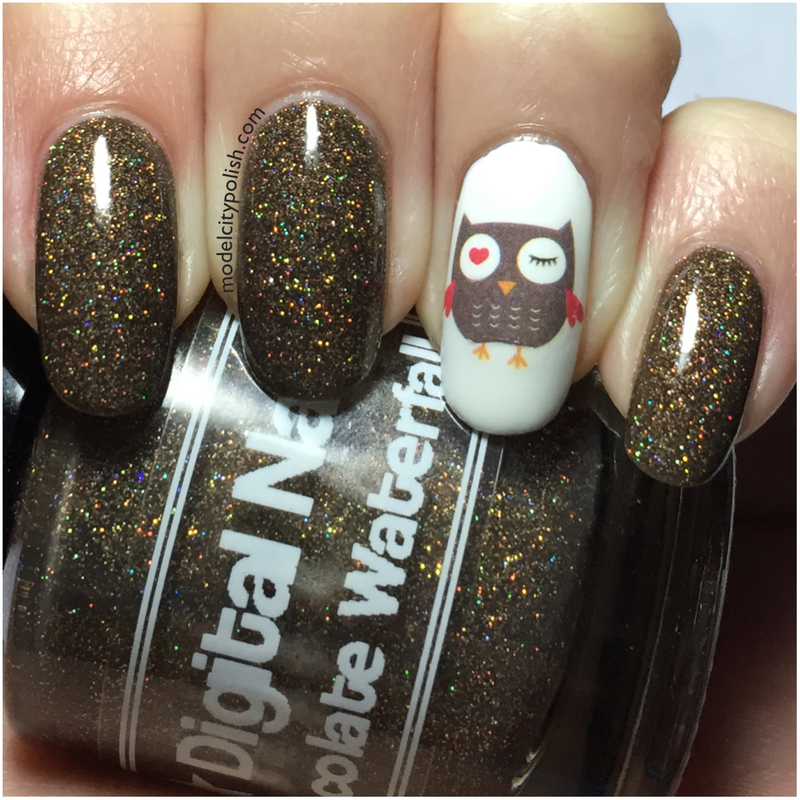 For today’s fall inspired mani I started off with Digital Nails Chocolate Waterfall. 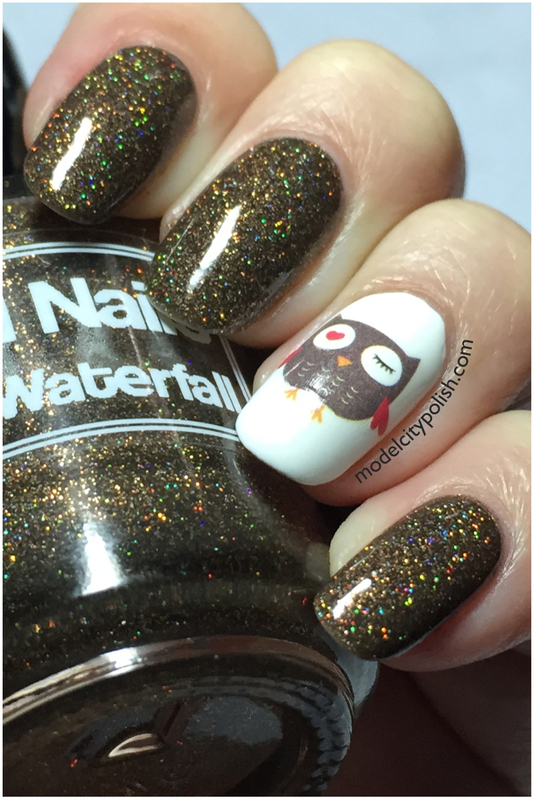 This is the perfect fall brown packed with gold holo glitter. 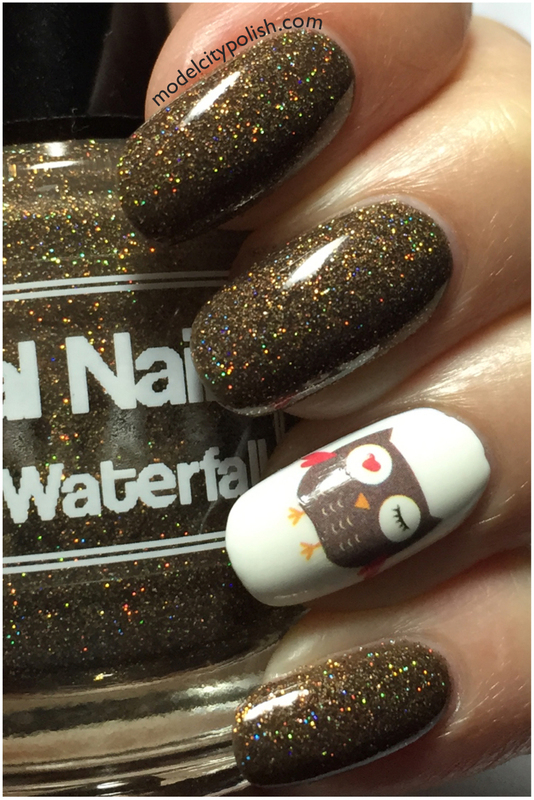 I then did an accent nail with OPI Alpine Snow to create the clean backdrop for my cute cartoon owl decals by Born Pretty. The decal applied beautifully and is just adorable. I sealed everything with a good coat of SuperChic Lacquer Liquid Macro top coat. These decals were provided for review but that does not influence my opinion. It is certainly one of my top ten blends for sure!